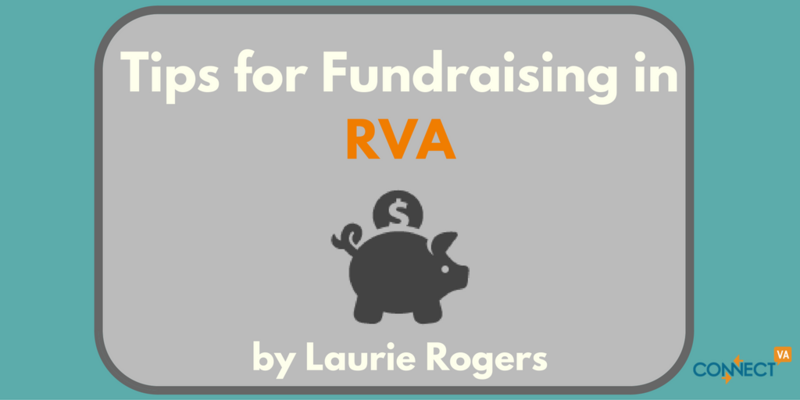 Laurie Rogers shares her “Top Tips” for getting started in fundraising – don’t forget to register for the Fundraising Crash Course coming up to get more insights on fundraising fundamentals and how to best go about your role as a development professional in RVA! How does your agency tell its story? Is it all about your agency and what you do and how you do it? If that’s the case, time to change it up to appeal to the donor. WHY should a donor invest with you? For RVA in particular, that “seven degrees of separation” thing does not work here! It will soon appear to you that everyone in this town is related to everyone else. Be careful when discussing anyone or any situation, especially in public. Remember that the first word in fundraising is “FUN” so enjoy your new position, be curious and take every opportunity to learn via workshops, classes, webinars, etc. and welcome to the BEST vocation you could ever imagine. Join the Fundraising Crash Course on 1/10/17! other tips to help small Development offices maximize the impact of their work. You’ll leave this session with a better understanding of fundraising and the ability to continue developing your own fundraising plans. TIP: Check out the Fundraising Resource page for local grant-making information, databases and more! Laurie Rogers has been a development professional for 25 years in Richmond. She has served as a Director of the Annual Fund, Director of Development and Director of a $30 million Capital Campaign. For the past 21 years, she has served as an independent grant writer for an array of nonprofit agencies in the metro area. She has taught fundraising classes in Richmond and Charlottesville for most of that time and continually participates in webinars and workshops to ensure her own skills are current and honed. She has a BA in Political Science from Sewanee and a Master’s of Public Policy from Duke University.